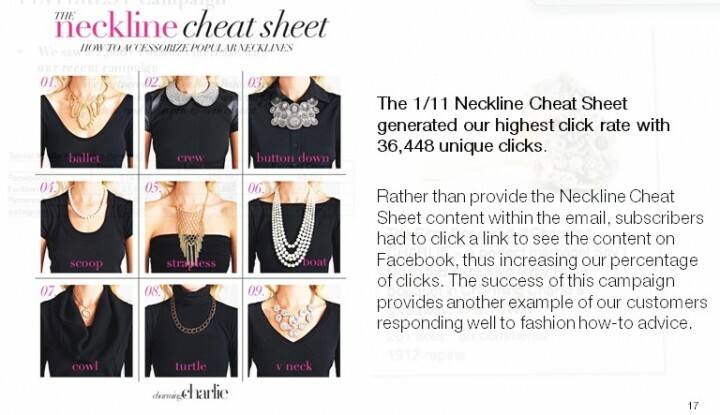 This piece of content was created for social media, but used in email as well and had one of the highest click through rates of all of Charming Charlie emails. It also became viral on Pinterest. What is significant about this piece of content is that it educates the consumer and helps us add value as a brand.